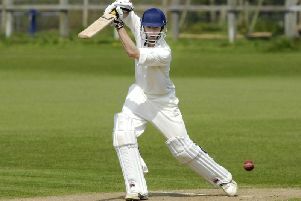 Bridlington teenager Jake Hatton is eager to help his Flixton CC side to more glory in 2019. Jake, 16, was part of the Flixton side which won the National Village Cup final earlier this month, and he is hoping his side can build upon this success in the league next summer. “It was a great day at Lord’s and to take the winning catch was a brilliant feeling, but also to claim a wicket and to walk out to bat there was also a great experience. “We are a very young side, an average age of 22, so I think we could be pushing for promotion from next season. “We play in the Premier Division in the York League, so it would be great to move up to the Yorkshire Premier League North. Jake’s younger brothers, Elliott, Callum and Isaac, also play for Flixton’s junior teams, which is also where the all-rounder started his time with the village club. Jake, who has impressed in his first full season with Flixton’s first team, added: “Elliot is 14 and he has been playing for the second team, he is a batting all-rounder but I know he is keen on working on his bowling through the winter. “Callum, who is only 12, has had a great first season with Flixton 2nds in the Readers Scarborough Beckett League, getting an eight-for against a very good Great Habton team. The youngest of the siblings, Isaac, is only 10 years old, but he looks set to the fourth Hatton pressing for the senior sides in the seasons to come. Jake believes that the all-round ability of the youthful Flixton team helped them to victory against Liphook at the Home of Cricket in the final. “We bat all the way from one to 11 and that proved to be crucial in the final, Will Hutchinson and Ringo (Matthew Nesfield) batted very well,” added Hatton. “All of us can contribute with the bat at any given time.